Last night on Laura Ingraham’s show, The Ingraham Angle, a strange thing happened (stranger than usual, I mean). Rep. Devin Nunes (R-CA) stopped by for an interview, ostensibly to talk about Rep. Adam Schiff’s (D-CA) latest actions regarding the ongoing Russia probe. “This is clearly an investigation again, without a crime. We’ve looked for two years — didn’t find anything, at all,” Nunes said, which is misleading at best. He went on to speak about the “cottage industry” of press people who are following the case and reporting it, so the public has an idea of what goes on behind closed doors. Nunes sounded offended when he reported to the Capitol for what was, in his words, a routine meeting, and he saw many camera people waiting for him there. “I don’t know what these people are going to do — this cottage industry of press people. They’re going to have to go learn code or something, which was Obama’s plan. Because they’re not going to have a job after this!” Did you catch it? This is where it gets odd. 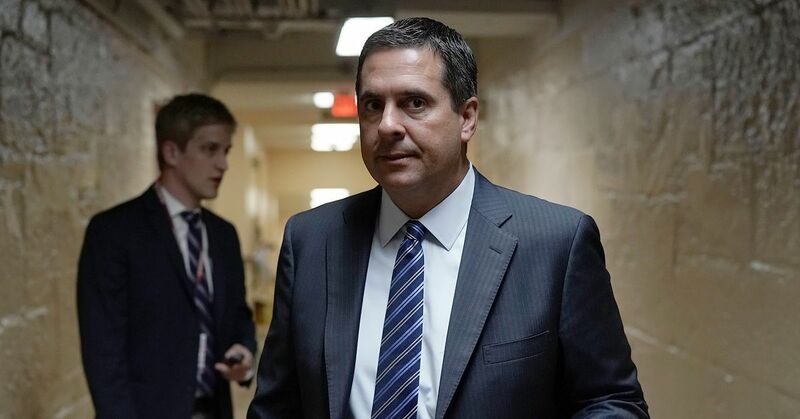 While the rest of Nunes’ appearance was boilerplate Fox outrage bait, that sentence — “They’re going to have to go learn code or something” — was the congressman signaling, knowingly or not, that he understood the priorities of a certain group online. Over those same weeks, journalists who had been laid off have been told to “learn to code” because 4chan’s crypto-fascist politics board /pol/ had noticed the layoffs and had formulated a plan to increase the distress of anyone who’d been let go. In a thread entitled “HAPPENING – Huffpo / Buzzfeed / other MSM garbage (((journalists))) FIRED,” which discussed the extant and impending layoffs, there were dozens of responses laying out the “learn to code” plan, wrote Talia Lavin in The New Republic. Lavin is a freelance journalist whose column at HuffPost had been cut as a result of the layoffs at that company. In the piece, Lavin points out that “learn to code” was another targeted mass harassment campaign dreamed up at 4chan. On its face, 4chan is a forum: it was started in 2003 by Christopher Poole, then a teenager, as a place to post about anime. However, since then, the culture of the board has shifted. Its users were always trollish, playing pranks on the wider internet (remember Rickrolling? ), but in the run-up to the 2016 presidential election, they’ve become openly political. Today, 4chan is a home of the far right. They seed memes and ideas there that have ended up in President Trump’s speeches and tweets, laundered through the various blogs and websites that make up the right-wing media ecosystem. Last night, by saying “learn to code,” Nunes — again, wittingly or unwittingly — parroted one of those ideas. It’s possible that Nunes didn’t know any of this when he was speaking with Laura Ingraham. After all, useful idiots have been part of information operations since information operations became a widely practiced mode of warfare. Donald Trump broke the Republican Party — and the rest of the right — in so many ways, but his election also reshaped how information spreads across conservative groups. The people making the memes are now the right’s main intellectual organ: the rest are either useful idiots or deluded.